Unfortunately Berlin is not one of these European capitals which is located directly at the sea. But lucky enough there are enough beachbars, swimming pools and sports like beachvolleyball to make you feel like you are close to the beach. 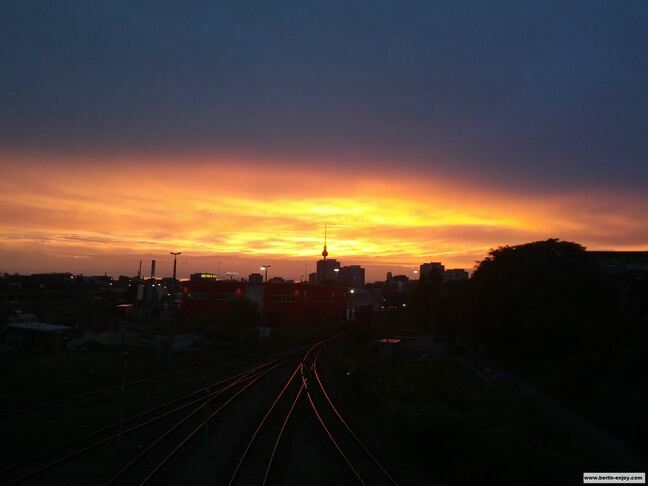 In fact it is also possible to really visit some beaches in Berlin, the only thing which you will miss is the salt water. The beaches around Berlin are mostly located at the lakes. If you want to visit a lake in Berlin you have several options: The Müggelsee Pötzensee, Sacrower See and Tegeler See are defenitely worth a visit but my personal favorite is still the Wannsee. Great benefit of the Wannsee is that you can reach this beach with one direct line from the main stations in Berlin. Besides that, the water is clean and has a lovely temperature (right now). 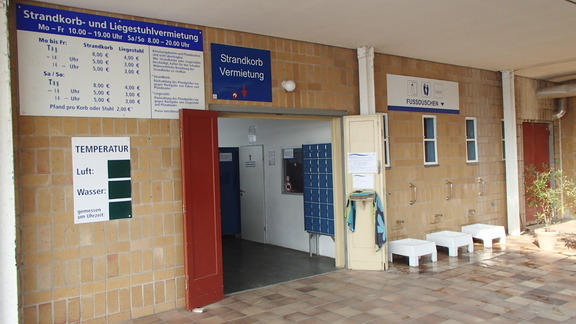 You might also want to visit the Strandbad of the Wannsee which has some additional benefits. 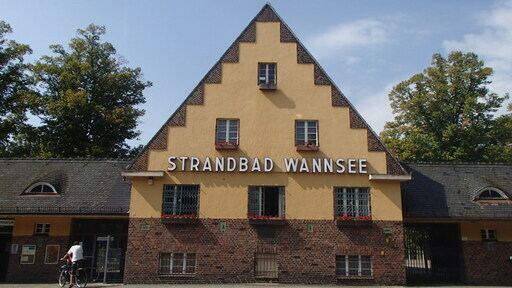 Strandbad Wannsee is the largest inland lido of Europe and has a water surface of about 130 000 m². The beach is 1200 meters long and 50-80 meter wide (depending on the tide). 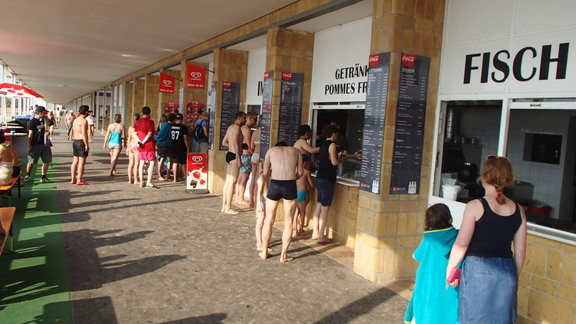 Compared to many other places to swim in Berlin, a major advantage of Strandbad Wannsee is that everything is well organized: You have showers, changing rooms and you can enjoy different kinds of food (pizza, fish, fries, etc.). Also, there there is first aid available in case of an emergency and there guards are keeping an eye on the swimmers. Wannsee lido is located approximately 20-25 kilometers southwest of Berlin. 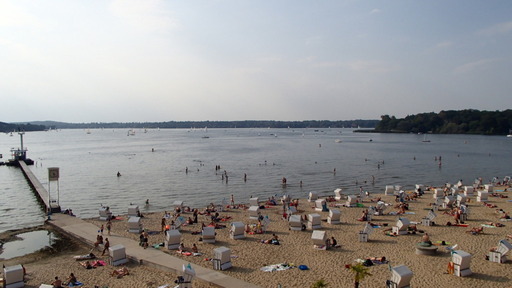 This may seem a bit far for an afternoon beach, but since the S-Bahn is heading directly to station Wannsee from main stations like Ostkreuz, Friedrichstraße Alexanderplatz you can reach the beach in about 45 minutes. Strandbad Wannsee is located in the middle of nature so it really feels like escaping the city for a day. There are plenty of parking spots in case you want to come by car, but personally I would advice travelling by the train if you want to visit Strandbad Wannsee. 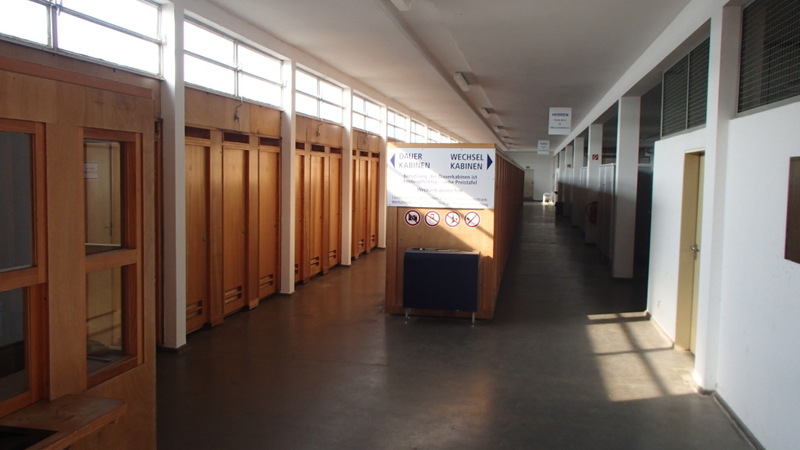 The entrance of the Stranbad is € 5.50 and you get 2€ off if you can show a student-card or any other discountcard. 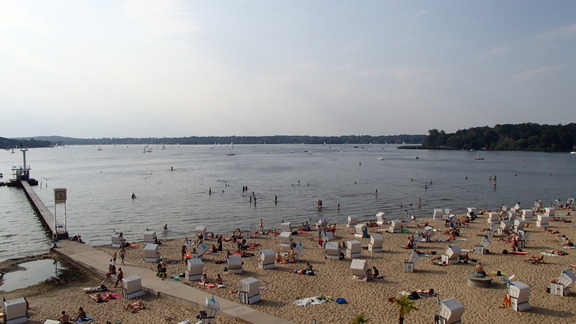 In the summer Strandbad Wannsee is open during weekends from 08.00 to 21.00, but hours vary by season and day. See the official website if you want to read more about opening times.